The Queen Was Paid Less Than Her Prince On Netflix's 'The Crown' : The Two-Way The producers of the TV drama say the star, Claire Foy, got less than former Doctor Who star Matt Smith, but also say that will be rectified in future seasons when new actors take over the characters. 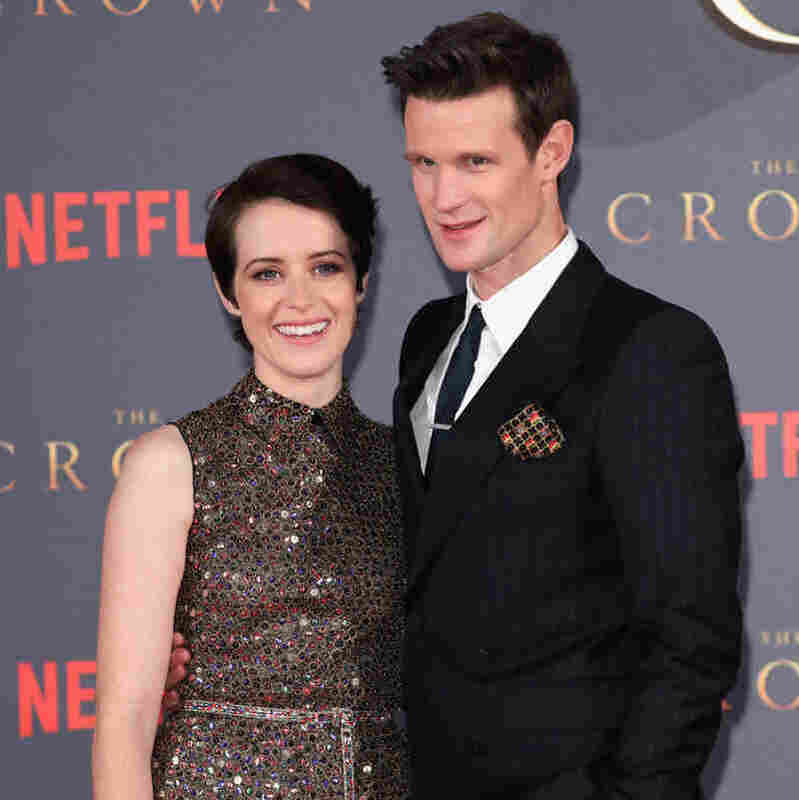 Actors Claire Foy and Matt Smith attend the world premiere of season 2 of Netflix's The Crown in London last year. It seems like another example of television's gender pay gap: executive producers of Netflix's drama The Crown have admitted that star Claire Foy, who played Queen Elizabeth, was paid less than Matt Smith, the supporting actor who played her husband, Prince Philip. But a look at the details of this deal also shows how well stardom pays off in show business, especially when an actor in a supporting role is more famous than the star of their new television series. Speaking during the INTV conference in Jerusalem, executives from the production company Left Bank Pictures, which makes The Crown for Netflix, admitted Smith was paid more in the show's first two seasons because he had spent three years as star of the popular science fiction TV series Doctor Who. Left unanswered was the question of why Foy's pay wasn't equalized with Smith's after the success of The Crown's first season in 2016, when the actress was nominated for an Emmy and won awards from the Screen Actors Guild and the Golden Globes. Or how Smith and Foy's pay compared to compensation for John Lithgow, an Oscar, Tony and Emmy-winning actor who played Winston Churchill and was arguably the best-known performer in the show's first season. Pay equality in media and show business has become a hot topic recently. Actor Mark Wahlberg wound up donating the $1.5 million he was paid for participating in reshoots for the film All the Money in the World, after news broke that his female costar Michelle Williams was paid $1,000. And the BBC recently cut salaries of its top male anchors after an annual report revealed huge gaps between the highest paid men and top earning women at the news network. Still, the show's cast will change for the upcoming third season, with award-winning, critically-acclaimed British actress Olivia Colman (The Office, Broadchurch) taking over the role of Queen Elizabeth. The actor who will play Philip hasn't been announced yet. Which means Colman might still be benefiting from the fame-centered thinking that gave Smith his bigger paycheck, even as The Crown's producers make sure no one rises above their monarch again.